Who doesn’t love a puppy!! 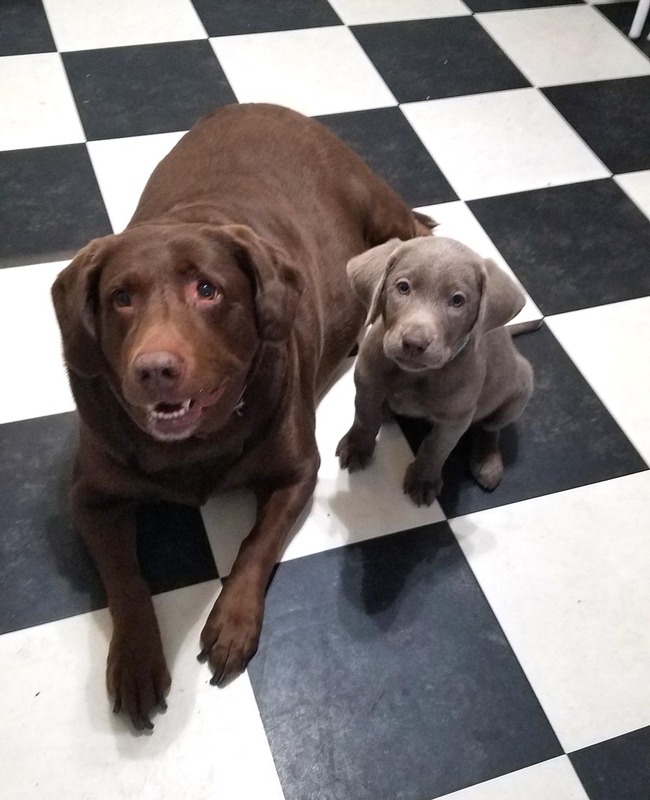 Our chocolate lab (Dixie) is nearing her 10th birthday and we decided it was time for her to teach a puppy the lay of the land at our house. So everyone meet out new silver lab Ridley. She is fun.. and a handful! Despite the new distraction I have been getting some new work done! This fall in local stores or by contacting me I will have some fun new items! 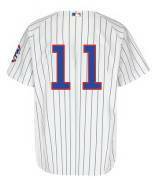 They are currently in progress and will be available soon. I stumbled along this little machine called a Zutter at a garge sale late this summer… it makes spiral bound books! I have been creating fun notepads with little extras inside the pages with it. I can also create a special notebook for you from a book you have at home.. maybe a fun title for a co-worker, something special for a teacher. 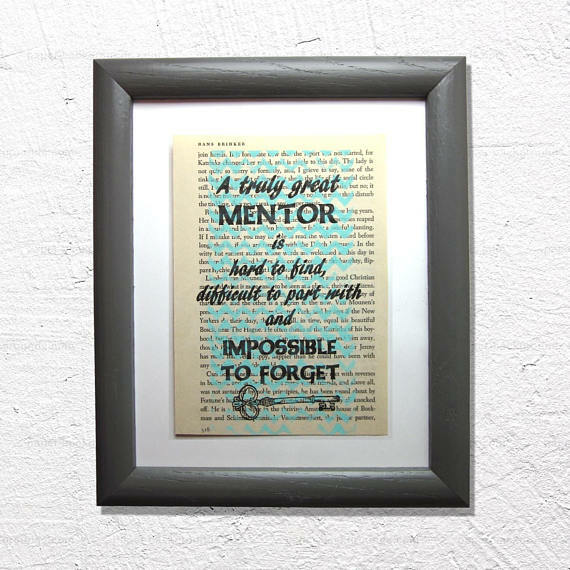 It is a useful gift with a lot of personality! Also in the mix are wreaths made from book pages. They are beautiful. The process to create them takes some patience… but I just turn on Pandora and jam to some music and work away. They are great for any season … I just happen to be rolling them out before the holidays. This year’s Christmas tree is a simple design, one tree looks great, but a grouping of them really dresses up the mantel. I’ll be sure to post when everything is finished and available. Have you checked out your local farmer’s market? 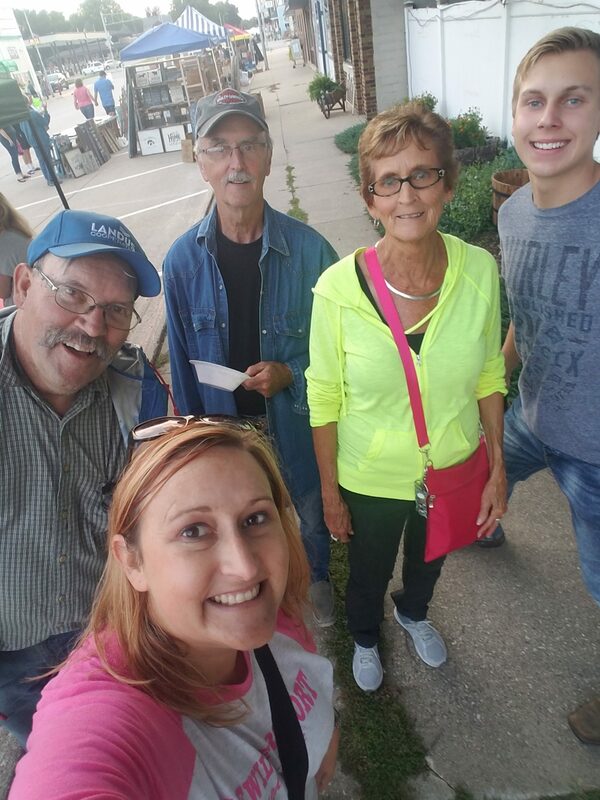 I love visiting the Fort Dodge market! And now the town I grew up in is hosting a market that started in August and will continue in September and October. 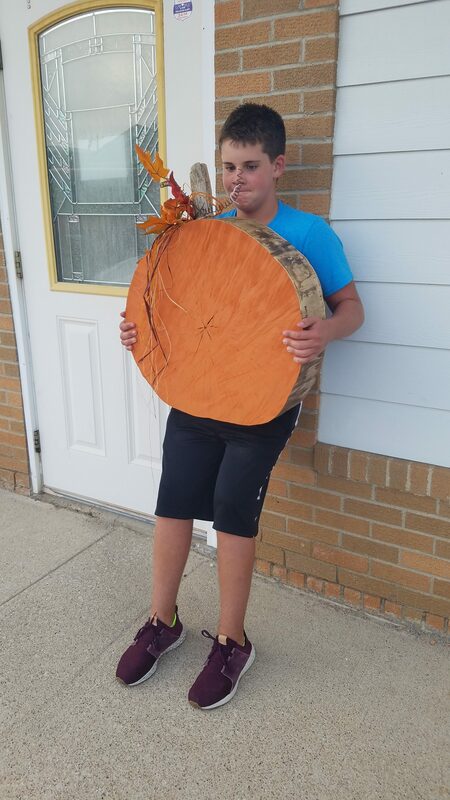 What fun we had and check out this locally created pumpkin to adorn my yard this fall! Enjoy the harvest…. 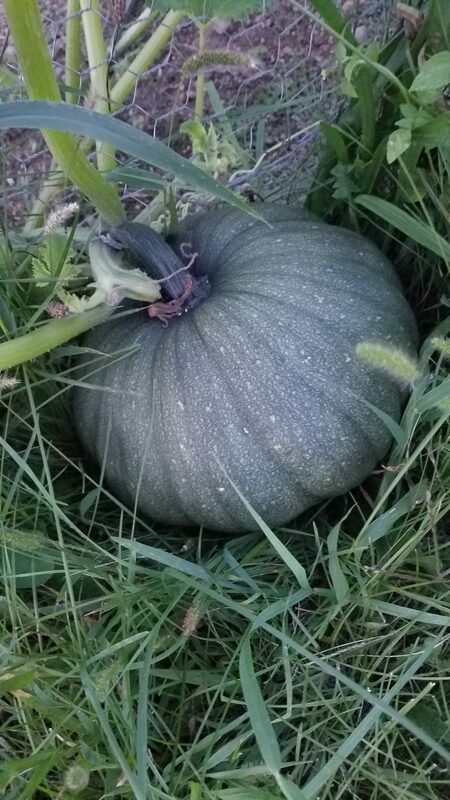 my pumpkin (yup..not plural… I have just one) and my first time growing cantaloupe has me excited! 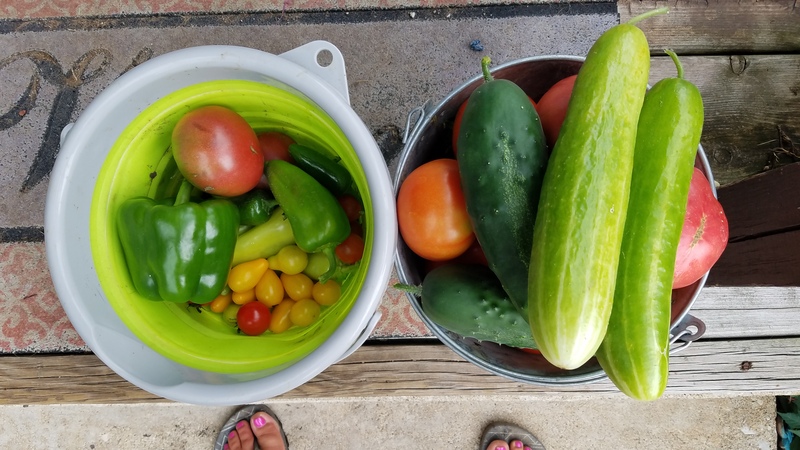 I have a bounty of other veggies coming on and when the garden comes to a close I will get to work creating with books again. Enjoy these warm late summer days and get out an enjoy the local offerings available to you. Each spring (even if it does not feel like spring outside) I celebrate Earth Day with a sale. I enjoy recycling books (that were headed mostly headed to a landfill) into new items! I also use other recycled items in my creations. Because of this I feel Earth Day is a fitting holiday for me to celebrate. 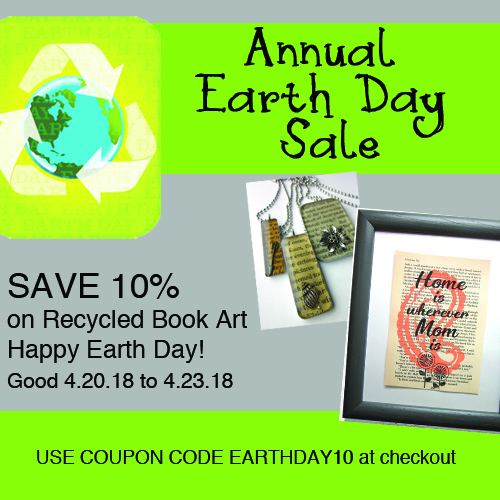 From Friday, April 20th – Monday, April 23rd you can use coupon code EARTHDAY10 to save 10% on your online order from my Etsy shop. Here is to hoping spring really is coming this year! Last night I was having an ordinary evening until I received a notice on my Etsy shop that someone had sent me a message. 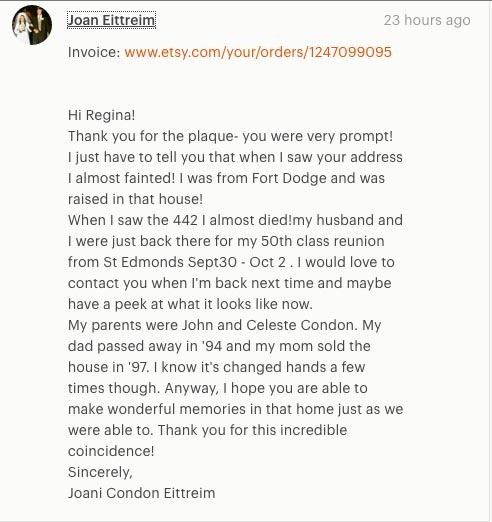 Well, this gal named Joan had ordered a ‘Mentor Print’ and had received it and was happy with her order and the prompt shipping… THEN she explained that she couldn’t believe her eyes when she saw the address I had sent it from. She grew up in the house I live in now, my address had been her address! We plan for her to contact me next time she is in the area to take a peek inside – I did warn her that my creativity seems to get in the way of my housekeeping … but with fair warning she was welcome to come take a look around. What a small world! It is the 11th month of the year, Halloween is over and we are full on to the Thanksgiving and Christmas season! I have been working daily on new pieces, photographing them, and listing them in my Etsy shop. I am usually also deep into the vendor show season at this time of year. However, I am taking a step back from shows this year as my day job has been a little more hectic than usual and I am needing the weekends to recharge my battery! I do however encourage everyone to check out your local vendor shows and support local and handmade! I know even though I do not plan on vending (unless someone twists my arm) I do plan on shopping! You can still shop locally and find my book creations – check out From Miry Clay Potter in Dayton, Iowa, Tin Shed in Downtown Fort Dodge and the Humboldt Memorial Hospital Gift Shop in Humboldt, Iowa. And just for fun, here are my 11 favorites right now… my list of favorites is forever changing! Come shop local artists from 1 – 6 pm on November 26th! I’ll be there!